This is a skilled position. The position emphasizes and involves a variety of knowledge and abilities in the field of trail construction and maintenance to include: excavation and grading of trails, carpentry, dry stone masonry, and operation of a motor vehicle, mechanized equipment and trailers. The Assistant Trail Crew Lead is expected to perform trail construction and maintenance under minimal supervision from the Crew Lead. Assistant Trail Crew Leads will assume leadership of trail crew in absence of the Trail Crew Lead. 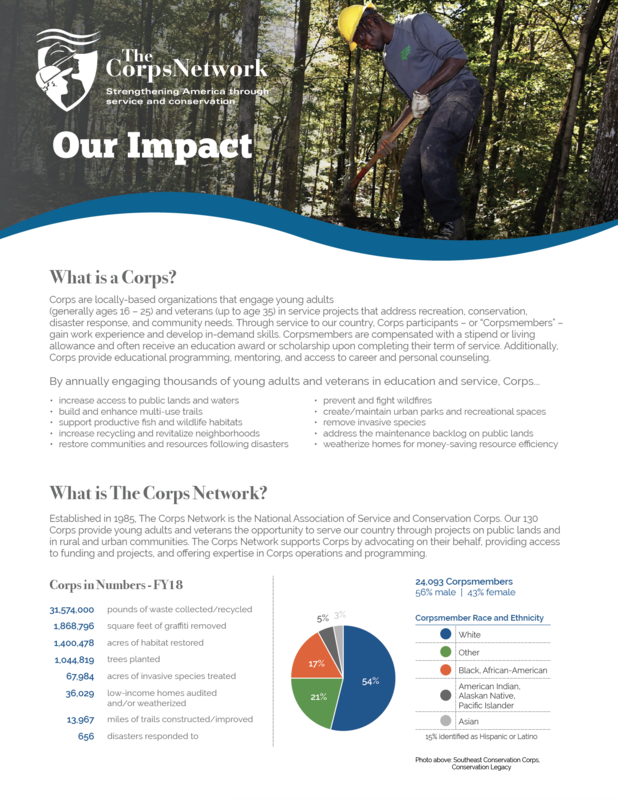 The position will assist the Trail Crew Lead in training and directing the work of people in the Crew Member position, Jr. Rangers, conservation corps crews, volunteers, and other groups and individuals assigned to trail projects. Work as part of a crew to perform routine, cyclic, and specialized maintenance, repair and reconstruction/construction on trails and related structures and facilities, including clearing (specialized), excavation, grading and finish; tread, drainage system and structure construction, maintenance and repair; carpentry work; and use of associated tools and equipment. Assist the Trail Crew Lead in providing work leadership and training crew members and other work crews in essential skills necessary to safely and effectively perform a variety of trail construction and maintenance projects. Operate and use specialized equipment: trail dozers, excavators, power carriers, gas powered rock drills/breakers, winch and rigging equipment, chainsaws, grinders and sharpening tools, etc. Assist the Crew Lead in the organization and maintenance of tools and equipment in the field as well as general upkeep of the tool cage. Work as part of a team. Take proper safety precautions, anticipate unsafe circumstances, and act accordingly to prevent accidents. Use all proper safety equipment. Report all accidents and damage to city property. Remain generally alert to conditions and events occurring in assigned areas indicating misuse; anticipates needed maintenance and reports such problems to the Trail Crew Lead or Trail Specialists. Responsible for knowing and complying with all city and department policies; participating in professional trainings and development; and adhering to attendance and workplace attire policies. A candidate must show that through experience and training you possess the quality level of knowledge and skill necessary to perform the duties of the position. A candidate should be able to demonstrate that through their work experience they have progressed in both responsibility and complexity of their trail projects. Ability to effectively assist the Trail Crew Lead in organizing, leading, and training crew members, volunteers, and other work groups in essential skills and safety. Knowledge and ability to ensure crew uses safe work practices and coordinate guidance from the Trail Crew Lead and Trail Specialists. Skill and knowledge in common construction, repair, and maintenance techniques relating to trail corridors including: full-bench trail tread, carpentry, drystone masonry work (stone steps, stairs, retaining walls), drainage structures (swales, waterbars, culverts, etc), footbridges, placement and finish of surfacing materials, turnpike, puncheon, and simple short-span stringer bridges. Includes selection of proper materials. Skill in the use and maintenance of power/mechanized equipment common to the trade, including chain saws, winches, rock drills, and small equipment such as trail dozers and skid steers. Knowledge of basic rigging techniques and configurations, including high lines. Ability to perform risk and hazard analysis and implement proper safety controls; ability to judge weather conditions. Ability to organize supplies and equipment and follow established procedures. Ability to evaluate conditions in assigned area and make judgments related to safety. Ability and willingness to work as part of a team and learn new skills. Effective interpersonal skills, including conflict resolution skills. Driving skill, experience and acceptable motor vehicle record; valid driver’s license.